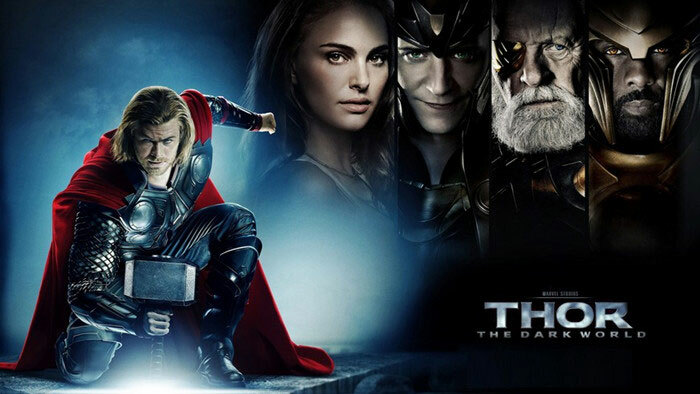 After watching several superhero films of 2013.what do you think of Thor: The Dark World? I confess I am totally satisfied with this gorgeous film that I couldn’t wait to have the DVD. But it seems that all the Thor lovers have to wait until next Feb/Mar. So for those who missed Thor: The Dark World in theatre, let’s talk about this Chris Hemsworth new movie, if you are also a great fan of him. And after that, I’ll show you the fastest way to rip DVD Thor The Dark World or any other DVDs you have or plan to buy. Thor: The Dark World is the second Thor film following 2011's Thor and the eighth installment in the Marvel Cinematic Universe. With a strong, handsome hero, a confusing but fairly understandable plot, a smidgen of a love story and many hilarious moments, it could be one of the best superhero movies of these years. As a superhero comic movie, "Thor The Dark World: Dark world" is a slight breakthrough, compared to the first serious, this one is much more relaxed and funny, humor is everywhere, almost every role is very naughty. In addition, even the thor frequently show "cold humor", such as when he takes subway, he asks how many station would he take; And as into the human family, like people hang your coat on the door hook, hung his big hammer, funny humor not only adds the charm of the figures, also enables the story not so boring. “This movie was not only fun to watch and had the sufficient amount of action to keep you suspended, the villains were powerful and were up to par against Thor's strength. You will also be surprised at the twist at the end. There were in fact two twists in the movie that caught me off guard, that's all I will disclose. Watch the movie and find out for yourself - but I have to say, it was a fun ride.” A fan said. Thor The Dark World also received positive reviews from critics, which currently has a 66% approval rating on Rotten Tomatoes based on 202 critics. Have you already put this DVD to your DVD collection list? Keep reading. 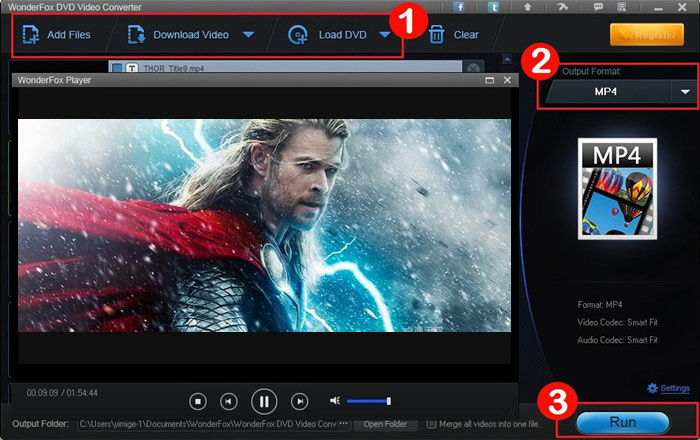 What’s the Best Way to Rip DVD Thor The Dark World? 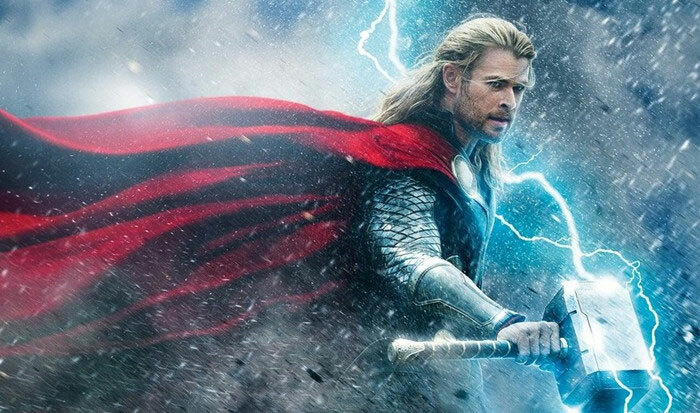 Why Do We Copy DVD Thor The Dark World? If you have collected many DVDs but don't know how to rip and convert it to your portable device such as iPhone 5S, iPad, HTC, Samsung Galaxy series, Nokia Lumia series, BlackBerry, etc. How could you solve this headache problem? In this case, you need to download a DVD video converter to finish this complex task. Here I highly recommend WonderFox DVD Video Converter. If you don't know what the WonderFox DVD Video Converter is used for, you can never convert your favorite DVDs smoothly. Don't look down upon this tiny tool. It can help you rip protected DVDs with the latest technology like DVD CSS, region code, RCE, Sony ArccOS, UOPs, Disney X-project DRM. With this excellent program. You can also download YouTube, Vimeo, Metacafe and more as well as convert and edit videos. Next, let’s start to learn how to rip DVD Thor The Dark World with it. You can’t believe how fast to rip a DVD with high quality. First downloaded and installed DVD Video Converter. Step 1: Insert the DVD disc into computer DVD-ROM. Then click “Load DVD”. Note: You can choose which parts of this DVD to be loaded from 2 options – Main Movie and All Movies. Step 2: Select iPad mini as output device or you can choose any video format you like. Note: WonderFox DVD Video Converter provides you wide range of video formats like MOV, AVI, MP4, XviD, MPEG, FLV, 3GP, etc. Besides, the devices supported include iPhone (iPhone 5S, iPhone 5C included), iPad (iPad Air included), Samsung GALAXY series, Nokia models, Xbox, BlackBerry, HTC, etc. 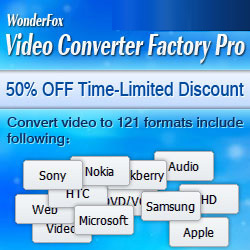 Note: WonderFox DVD Video Converter offers you 100 + formats like MOV, AVI, MP4, XviD, MPEG, FLV, 3GP, etc. Besides, the devices supported include iPhone (iPhone 5S, iPhone 5C included), iPad (iPad Air included), Samsung GALAXY series, Nokia models, Xbox, BlackBerry, HTC, etc. Step 3: Click “Run” button to copy this fantastic film. If you have done all the steps above correctly, I can promise you will be satisfied with the converted visual effect. This practical tutorials can help you a lot. 1. Extract background soundtrack from the DVD or get music from CD. 2. Crop or clip the DVD and add special effects to retouch the DVD video. 3. Capture pictures from video by pressing the “Snapshots” button. 4. Drag the media files to the Program with ease. Wanna back up DVD Captain Phillips? With a few clicks, you can copy DVD Captain Phillips and converter it to any format or any devices with excellent video audio quality. Ripping and backing up DVD Gravity to PC and portable devices could be as easy as eating a pie. If you own DVD movies, you can easily convert and rip them to iPhone, iPad, Android, Samsung, HTC, MP4, WMV, MOV, etc as you wish. This article is to tell you the best way to rip and backup DVD Don Jon to other video formats and portable devices, like iPad mini, iPad 4, Samsung smart phones, Nokia, BlackBerry.